I’ve been intending to post this for awhile. We really like it – made it tonight for Super Bowl treats last weekend. Original recipe from the Holistic Squid. 🙂 I really like that it is a probiotic food as well! Jello just does not photograph well. No matter what I did. Not pretty. Tastes good anyhow. Pour kombucha into an 8 x 8″ Pyrex baking dish. 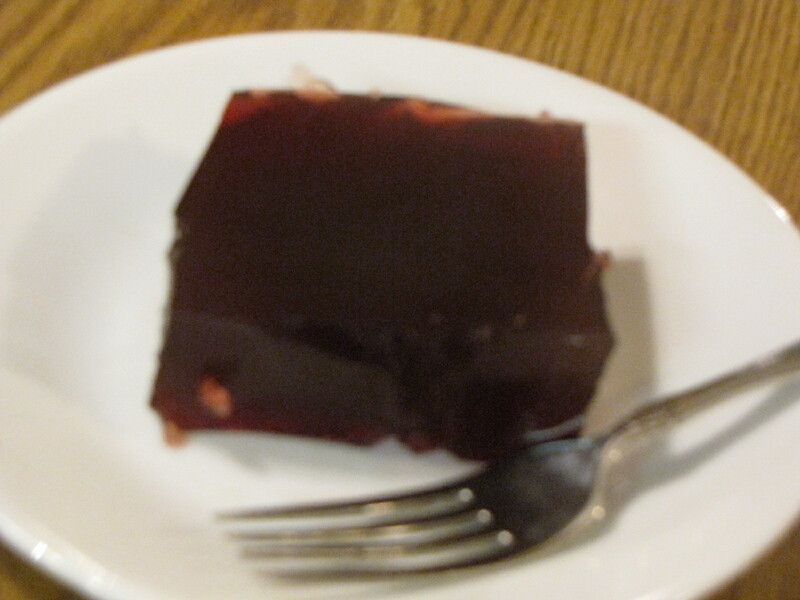 Sprinkle gelatin over the kombucha and let it sit until moistened – about five minutes. Heat Pom juice to boiling, then pour over kombucha/gelatin mixture. 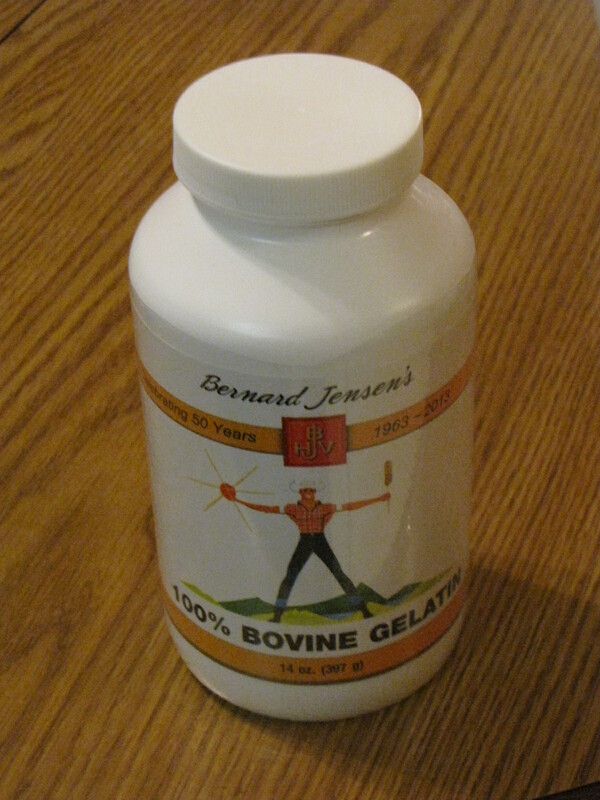 Stir thoroughly until all the gelatin is dissolved. Refrigerate for several hours. Since we started my Whole 30 and my five year old daughter’s Paleo diet January 1…we have been trying to get more nutrient dense organ meats (offal) into our diet for healing purposes. Not that it’s at all bad for the rest of the family either. Problem being…everyone hates liver (including me). They can usually sniff it out a mile away. I have been playing around with some of our suppers, etc. to see how I can sneak it in UNDER THE RADAR. Here is a great article from The Paleo Mom on why everyone should eat more organ meats. 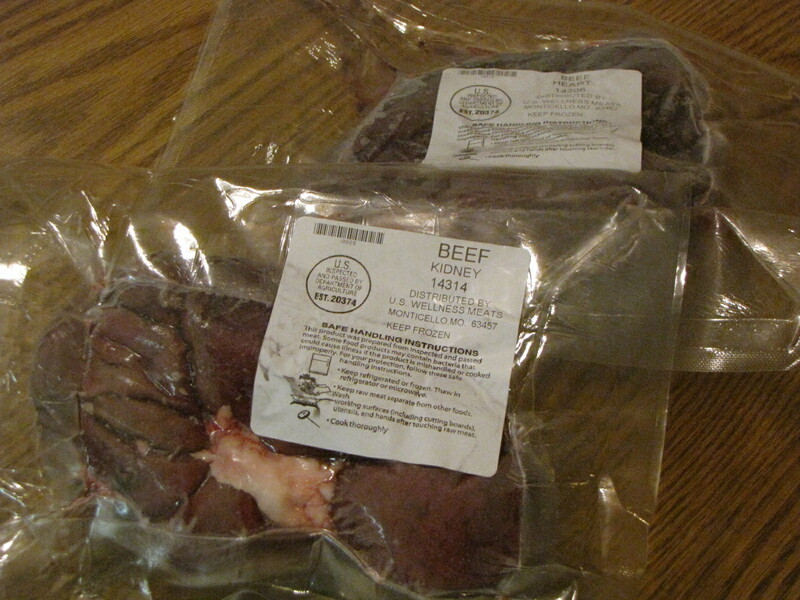 I pay close attention to sourcing grass fed/pastured/organic as much as possible when dealing with organ meats. We have had good luck getting beef liver and heart upon request from our favorite farmer, so if you have one, check with them first. I recently placed my first order to US Wellness Meats and got a stash: beef heart, duck livers, lamb kidney and beef kidney (and some fantastic sugar free Whole 30 compliant beef and pork bacon – bacon makes me HAPPY). I was really pleased with the quality, shipping method and speed of shipping. It is a bit expensive, and you do have to place a minimum order of $75 to order. So I strategically shopped. (I am not at all disputing WHY it is expensive, just noting that it is. As with anything, you get what you pay for and the quality is excellent!). 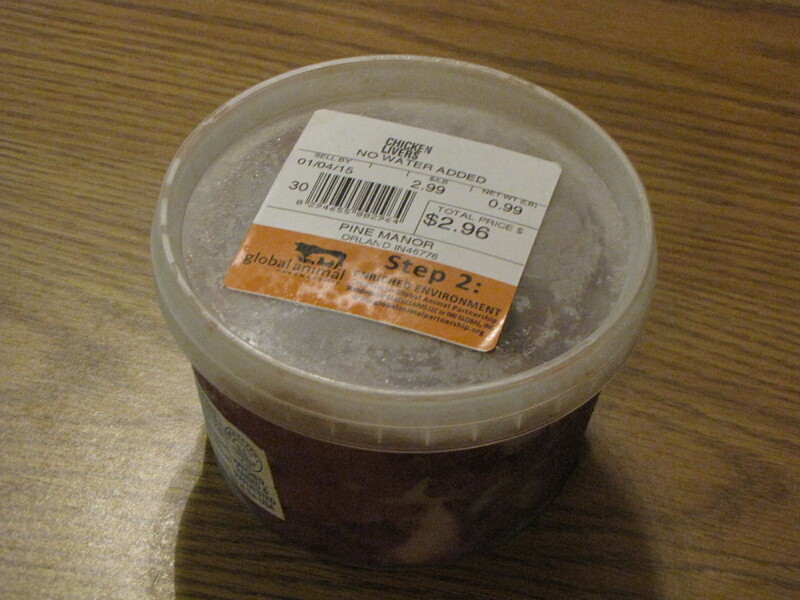 The chicken livers shown below are from Whole Foods. I’ll list a few recipes in order of trickery, from least to greatest. 🙂 Sneaky, sneaky mom. I loved this. I have been trying to eat bit at least a few days a week. My girls were OK with it, my son not so much. Very low on the level of trickery of children…it’s pretty much blatant liver. But it tastes good. Saute everything in a large frying pan until thoroughly cooked. Process in food processor until smooth. Easy peasy. I served this with raw snap peas and baby carrots. The bacon grease totally makes it. Doesn’t bacon make everything better??? Puree veggies and organ meat in food processor. Mix well into ground beef in large bowl. Form meat mixture in to meatballs, and fry up in a large pan. I was almost found out on this one. My littlest hollered “It tastes like liver!” I hate lying, and wasn’t about to lie to her about it…but then she promptly changed her mind, and chowed down. No one else was the wiser. Enjoy! Coming soon…Whole 30 update! This is going to be a quick post because we’ve just been so busy this summer, I haven’t had time to post, but I thought it was worth sharing. Sorry, I don’t have step by step pics but it was pretty easy so hopefully you’ll get the gist. 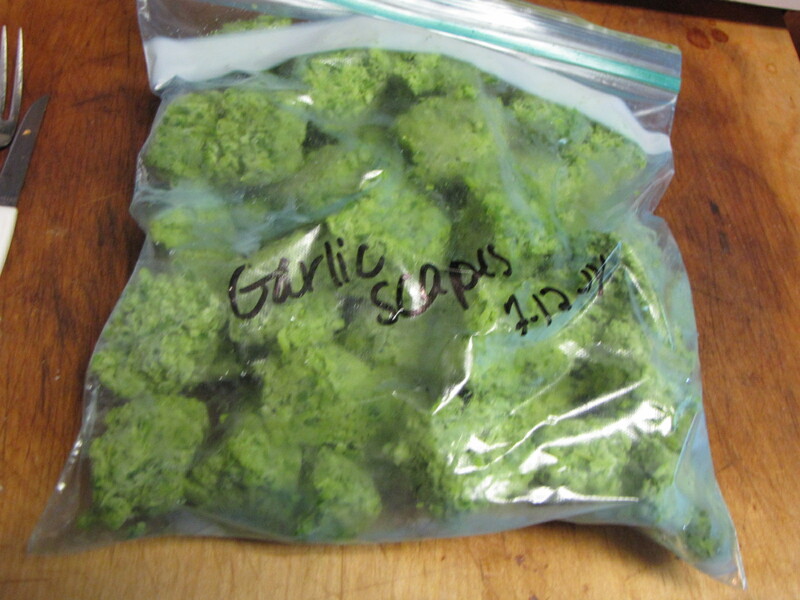 Herb Preservation – Part 1 – Garlic scapes: I planted a ton of garlic last fall, and got a Walmart shopping bag full of scapes once I cut those off. To preserve them, I stuffed the whole lot into my food processor with a little extra virgin olive oil (highly technical, I know). I don’t have an exact amount of either, nor do I think you need one. I added olive oil as I needed to, as they were processed in the machine. I ended up with a thick garlic scape paste. I put into ice cube trays, and froze. 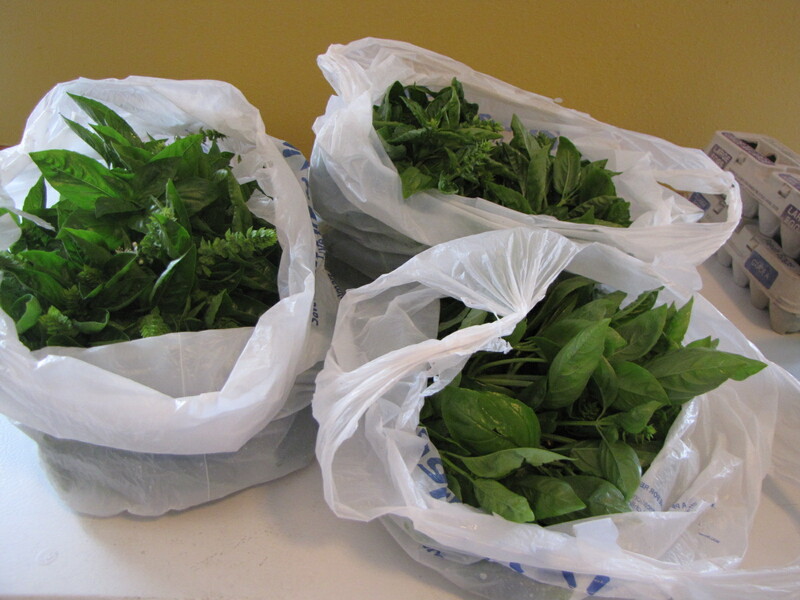 Once they were frozen, I popped them out of the trays and stored in a large plastic bag. This way, I can add them to soups or other dishes. I think I’ll also try to thaw them and see if I can use in salad dressings. Maybe they’ll be too wilty, but it’s worth a try.